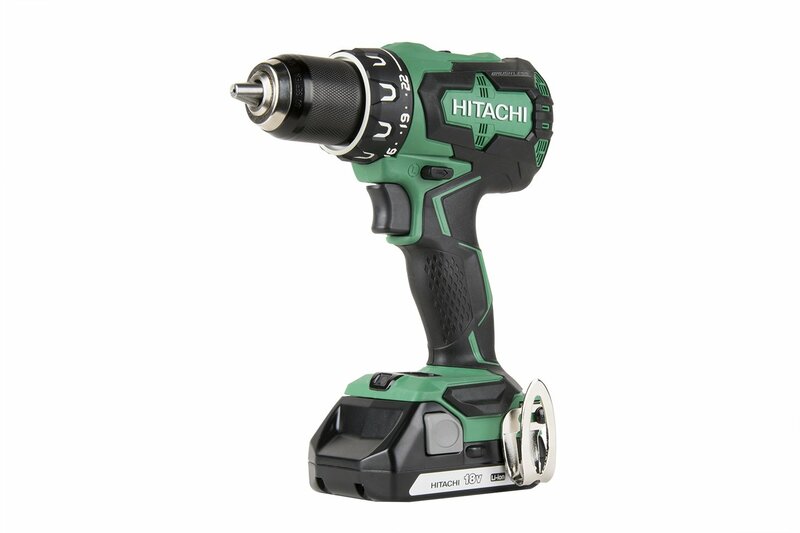 Read here complete review of Hitachi DS18DBFL2. Check Pros and Cons, Features and Prices here. Its motor deliver a very efficient current flow with help of micro processor chip. It has ergonomic design and is very balanced and comfortable to use for extended period of time. Its 22+1 stage clutch with 22 torque settings and a drill mode helps in getting the industry standard precision and control. It has a Professional grade power with 620 in/lbs of turning torque and up to 1,800 RPM. One of the best cordless drill for drilling into plastic, aluminium, mild steel and wood. Long run time and efficiency. Professional grade power with 620 in/lbs of turning torque and up to 1,800 RPM. Ratcheting 1/2″ keyless all metal chuck. 22-stage + 1 clutch settings delivers 22 torque settings. The on board fuel gauge may be sometimes difficult to read. Battery are expensive to replace. Q – So its weight 3.5 lbs is with battery or without battery? I want to know the total weight with battery? A – Its weight is 3.5 lbs with battery. I like to use it very frequently. Its balance is perfect. Q – So is it a good drill for drilling holes in fence posts, a few in concrete foundation? Sorry Iam a beginner and want to know if its easy to operate and install? A – This cordless drill is perfect for doing most of the jobs around the house. If you want to do fencing and concrete foundation then I suggest you to buy more powerful cord drill which is more suitable for these kind of work. Q – Does it come with reverse option? A – Yes it comes with reverse option. Q – Does it comes with drill bits? A – No, it comes with a driver bit 4 screws.